"Derek Kief will complete his career as arguably one of the best receivers in the history of La Salle football. As a senior, heading in to his final regular season game, Derek already tops La Salle’s charts for most career receptions (152), most career receiving yards (2015), most career receiving touchdowns (22), most single-season receptions (65) and is tied for most single-game receptions (12). 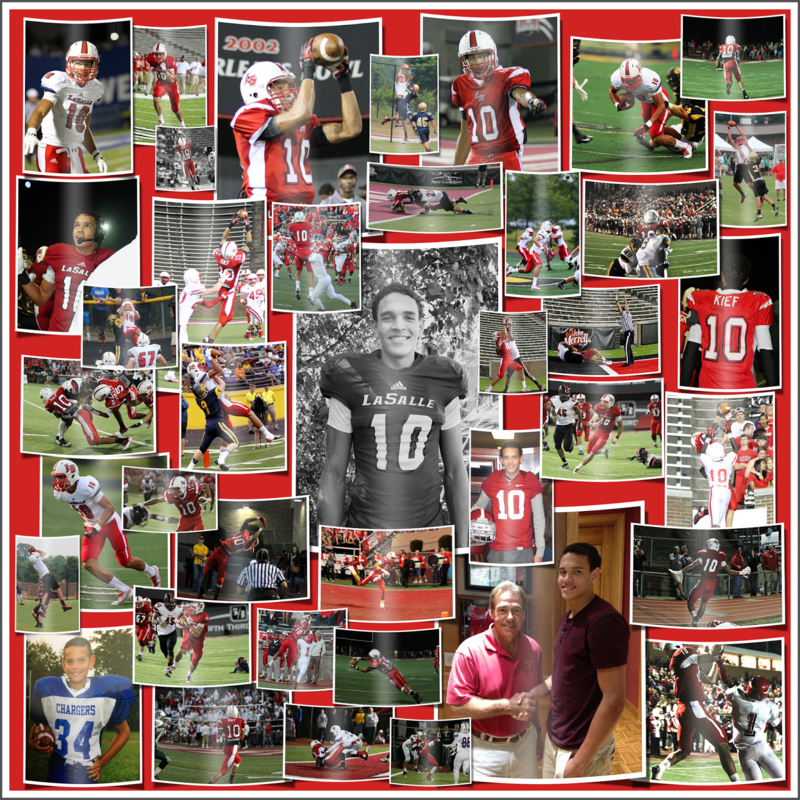 He has also surpassed all other receivers in the history of the GCL South for most career receptions and is only 136 receiving yards away from surpassing all other GCL South receivers for most career receiving yards. In addition to the success he has had on the field, Derek has made 1st and/or 2nd honors every year since he has attended La Salle and maintains a high GPA. Next year, Derek will go from rolling deep as a Lancer, to rolling with the tide! LANCERS ROLL (TIDE) DEEP!" 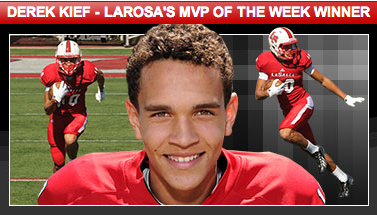 You can also download and print the the MVP Highlight that the LaRosa's team put together here.